I warned you that it was all go until Christmas: two new things for you to get excited about. If you like babies. If you don’t like babies and would rather prong your eyeballs out with a fork than look at pictures of them, videos of them or read any kind of chat about them, this little bulletin might not be your cup of tea. News number one: there’s a second Baby AMR on the way. It’s currently in development. If I had to compare it to that Dominos Pizza order tracker that they send you after you’ve ordered (does anyone else sit there refreshing it every thirty seconds?) then we’d be in the “baking” stage. I’m twenty weeks pregnant and God only knows how I managed to keep it under wraps, because I honestly look about as large as I did at six or seven months, last time, and I was big then! Not big all over, but “of mammoth proportions” in the mid-section. I can no longer see my Lady Garden, put it that way. Anyway, I hope this news goes some way to explaining my moments of flakiness for the past few months – I was so, so ill and it was a struggle just to remain upright let alone produce posts and videos and witty (ha!) tweets and Instagram pictures. I went through phases of posting quite sporadically and then, out of work-guilt, beavering on right into the night to try and get back on track. I’m feeling a lot better now, thanks for asking, and having a bit of a work-energy-surge, so please do be upstanding for my brand new Youtube Channel: The Uphill. 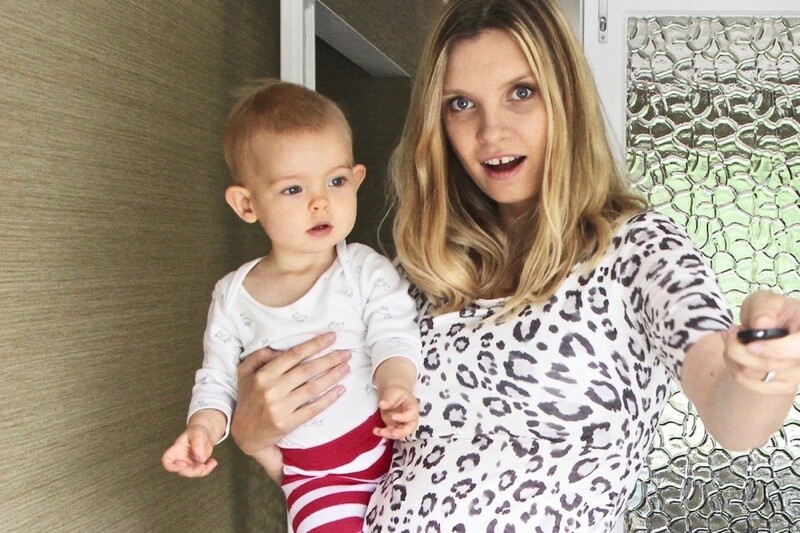 Expect pregnancy vlogs, baby diaries and all sorts of informal chats about things like – I don’t know – comfortable knickers and unfeasibly bad snacking habits and prams that are impossible to fold up. If this sounds like your sort of thing then do make your way over to the channel and click on the “subscribe” button. If you can’t think of anything worse, then continue pronging yourself in the eyeballs OR (perhaps the more sensible option) simply stay right here on A Model Recommends for everything gorgeous and glamorous. Sumptuous face creams and velvety liquid lipsticks and so on. If you want to see the pregnancy announcement video then it’s here. Thanks so much for all of the wonderful comments so far and to everyone who has subscribed to the new channel. I really appreciate the kind thoughts.